I’m busy finishing off the last few paintings for “Gleam”, my solo exhibition opening in the First floor space at Hill Smith Gallery, Pirie St, Adelaide on November 1st, and running until 22nd November. 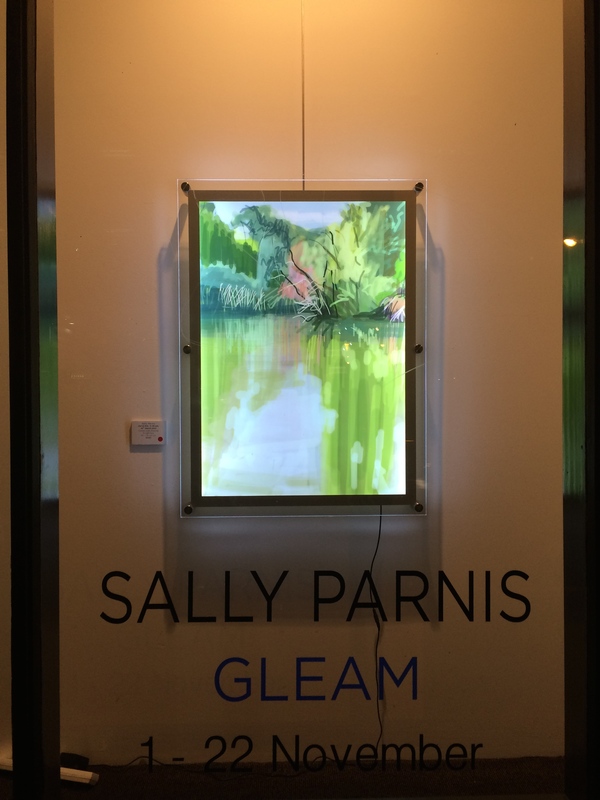 Gleam is a collection of works about just that – the gleam of reflections on water, the gleam of the last or first rays of the sun… and the gleam of the back-lit screen of a digital tablet. Every one of these drawings and paintings has its origin in an observational drawing made “en plein air” on my iPad. Some works are the actual drawings presented on light boxes, backlit just as they are on the iPad. 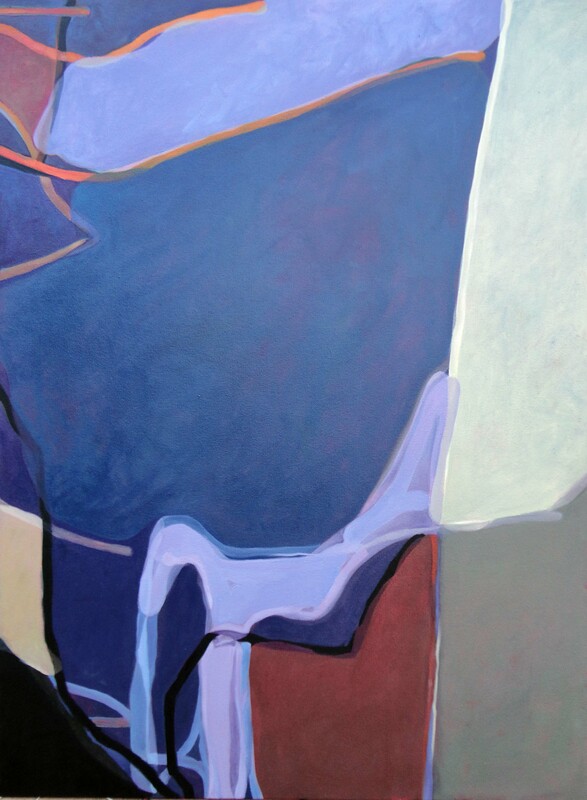 Some are paintings of the original drawings – re interpreted in oil on board. Others are paintings of my finger marks on the iPad – close-ups of cropped digital drawings where slippage begins to occur between “represented” and “representing”. My work is an apologia for the primacy of seeing – the intricate and very human process of perceiving an image of our outside world via the retina and a complex cognitive transformation. It is also a celebration of the effect new technology has, and has always had, on the practice of Artists. 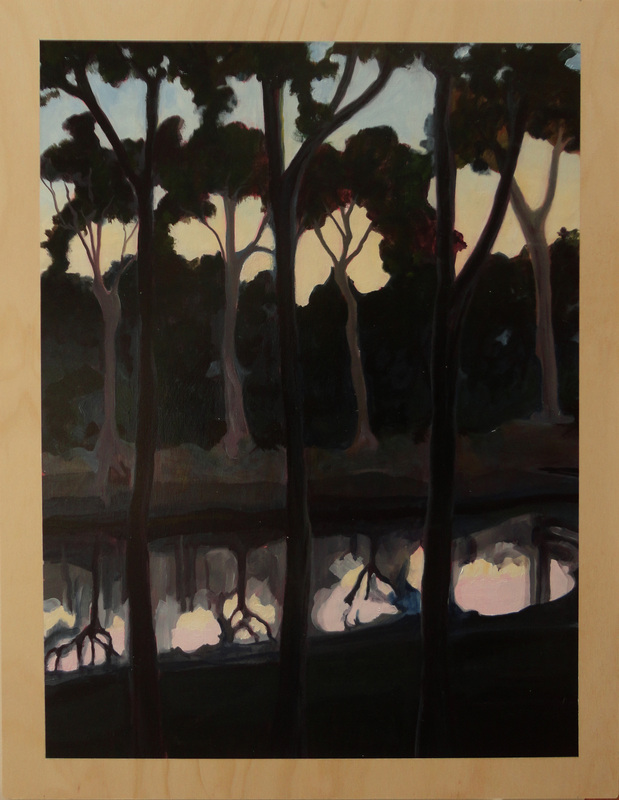 I am influenced by many other Artists – notably David Hockney, Richard Diebenkorn, Pierre Bonnard, Èdouard Vuillard and the whole Nabi group, and the wonderful group of “9 by 5” cigar box works at the Art Gallery of South Australia, along with their evocative frames. Which brings me to frames – you will see that the “frames” of these paintings are an integral part of the work. They are inspired by the way drawings appear on an iPad and encouraged by my dilemma with frames, framing and the effect of photography on the way we think we see the world. I am participating in “Gematria”, an exhibition curated by Gloria Strzelecki, opens at Adelaide Central Gallery, Glenside Cultural Precinct, 7 Mulberry Road, Glenside on June 17th. Gloria has assigned 26 artists each a letter of the alphabet and asked us to make an Artwork in response to that letter. The works will be accompanied by a very brief statement or poem written by the artist. The exhibition will be opened by John Neylon, author, curator and Art critic, at 6pm on the 17th June. It continues until 11th July. Some of the works may be seen here. 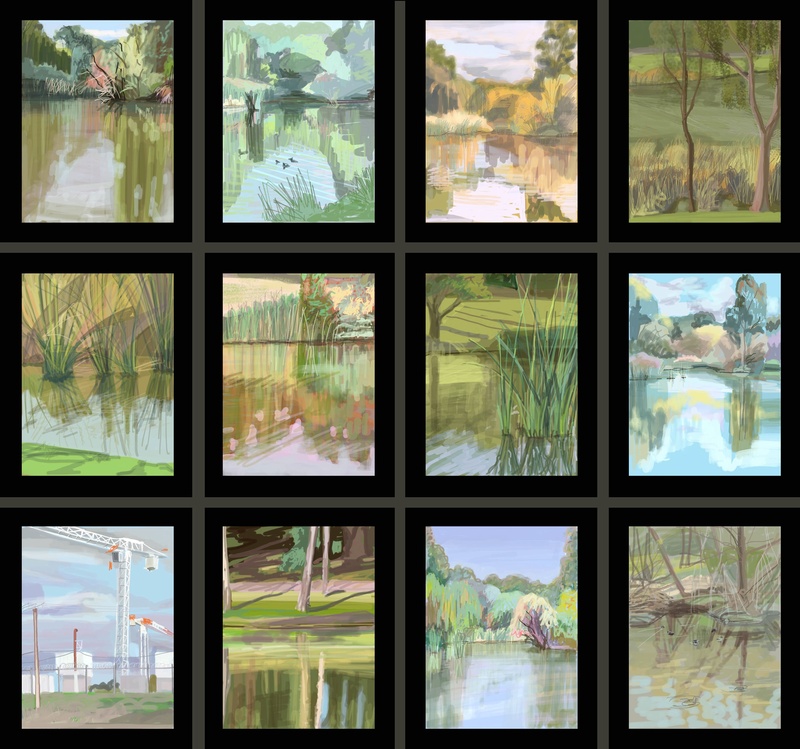 My multi-panel animated digital drawing work entitled “En Plein Air” will not be shown again in its current format. The hardware is on the way out! So, if you’re even slightly curious, go and have a look. I also have two small paintings in the exhibition. There is a huge diversity of Art work exhibited, curated expertly by Maggie Fletcher. I hope you can manage to see it! Mp4 on digital photo frames, approx 96cm x 100cm multi panel work. 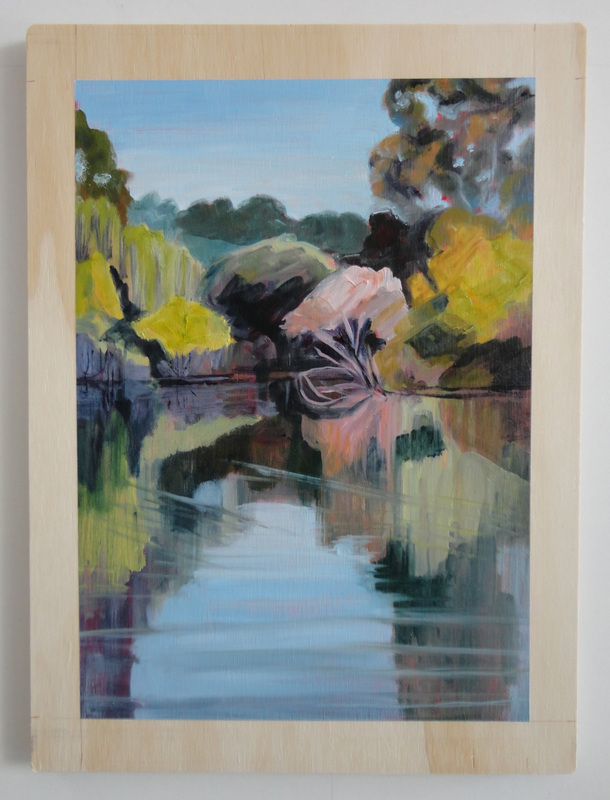 The Adelaide Parklands Art Prize is a new Art Prize, an initiative of the Adelaide Parklands Preservation Association. I am thrilled to have had three of my works chosen for the finalists exhibition, commencing on Saturday February 15th at the Adelaide Festival Centre Art Space, until Sunday April 6th. I hope you can come and have a look while it’s on! Much of the work from “Wordless” has been installed at “Faraja” restaurant, 36 King William Road, Hyde Park. It will be there at least until the end of February – so check it out if you’re in Adelaide. It’s a great place to go for coffee or a meal, and they have Sunday brunch with music as well.